Last winter in March I did my first attempt at cross country skiing with a pulk in Lapland. It was not something that was on top of my list and I wasn’t really planning to go north again soon. But when a friend I met in Sarek september last year asked me to join him for a winter adventure in the north I said yes. We decided to ski from Katterat in Norway just accross the Swedish border to Abisko in 5-6 days. We would bring a tent and the plan was to camp as much as possible. Eventually he couldn’t do the trip because of a back injury. So I had to go on my own with zero experience. I never really skied before and I never saw a pulk from up close. I had been in Lapland a few times in winter so I knew the conditions and the terrain but I never camped in extreme cold. Therefor I chose to skip the camping and stay in the huts on the way. It ended up being a bitterly cold but amazing trip. This is how things went! In about a week I will embark on one of my most anticipated adventures ever. 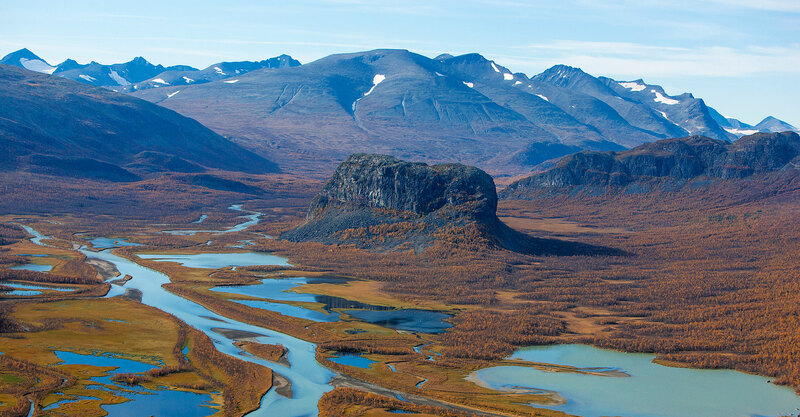 Sarek National Park will be a mission. It is not a place for the unprepared. It is the a place for the adventurous hearts who are looking for solitude, wildness and a connection with nature that is hard to find on our planet these days. High up in the north of Sweden at the border with Norway. They call it the last European Wilderness.